The perfect cross-curricular bundle for the classroom. SAVE OVER 35% compared to ordering items individually! Give every student the gift of a butterfly! 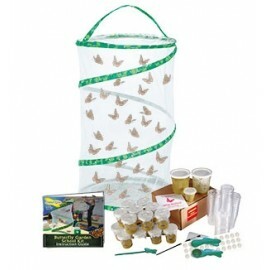 This rewarding educational kit is designed specifically for teachers and classrooms. 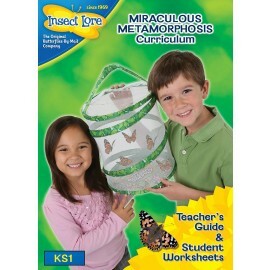 It enables each student to raise his or her own Painted Lady Butterfly and witness the wonder of the butterfly life cycle. 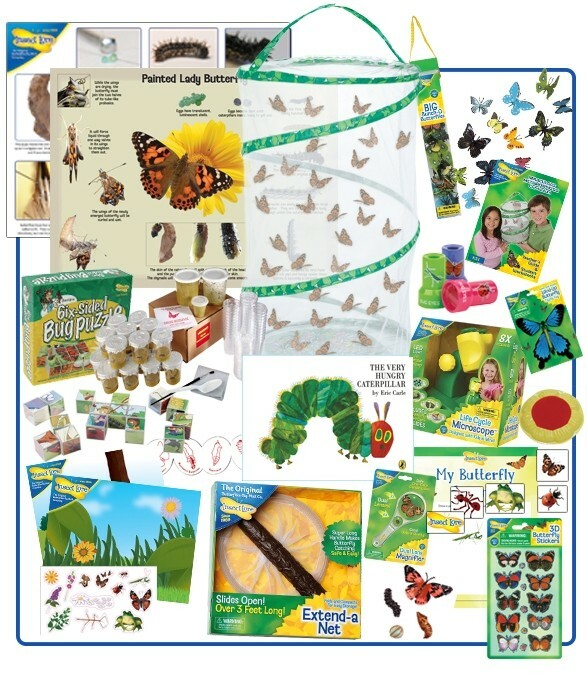 The Live Butterfly School kit provides educators with many opportunities to teach science, maths, reading, environmental studies and environmental awareness. The habitat hangs conveniently so everyone can observe the butterflies clearly.